With great elegance and grace, Dawson has captured all that makes the horse such a magnificent subject for his work. With manes flying, these companions are running for home. 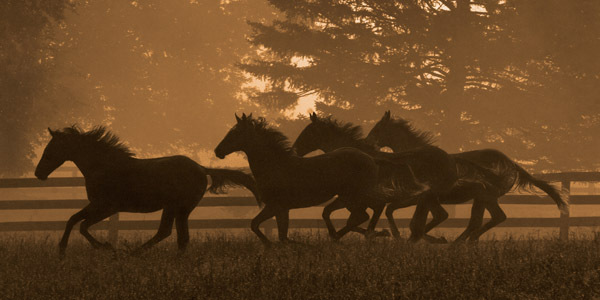 You can almost hear the thunder of their hooves as they race across the pasture.